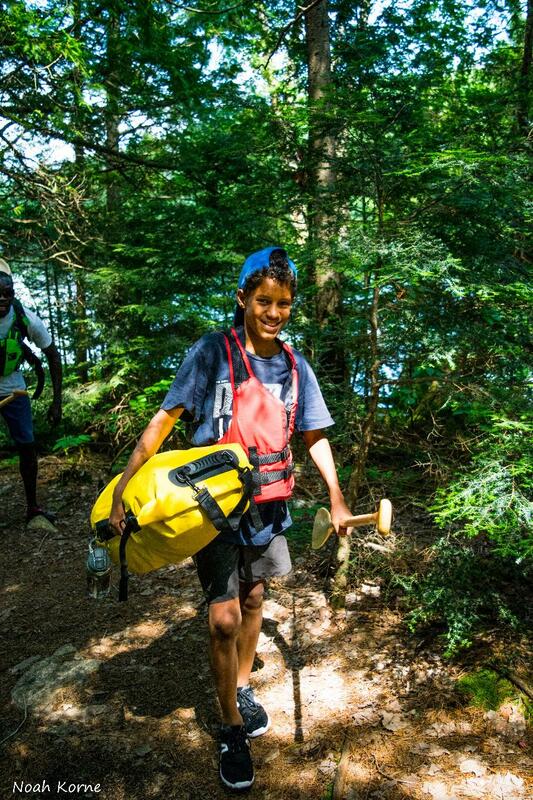 This five-day adventure camp is a unique opportunity for kids to obtain world-class paddling certifications and forge life-long friendships in the context of an unforgettable backcountry canoe trip. Our guides are ORCKA Instructors, and offer flatwater paddling instruction designed to turn beginners into effective paddlers while gaining valuable canoe tripping experience. 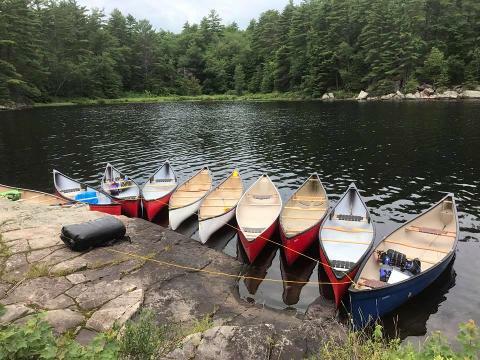 During this canoe trip in Kawartha Highlands Provincial Park, paddlers will obtain Basic Canoeing - Tandem certification up to Level 3, with an option for level 4, which is only for solo paddlers. A canoe trip is a perfect opportunity for kids to learn about themselves and others, while connecting with nature. They upgrade their skills of self-reliance and determination, and achieve goals that will serve as personal touchstones in the face of life's obstacles. For example, Three Mile Lake, on one of our routes, is appropriately-named: it's an almost three-mile portage in and out, with a three mile paddle in between! Backcountry canoe tripping with The Land is also a great opportunity to learn how to be an instrumental member of a team. Canoe tripping requires constant teamwork to travel safely and swiftly, and group dynamics quickly becomes a crucial factor in the trip's success. Finally, the natural and cultural heritage of the landscape and waterways of this beautiful park in "the Land Between" offers a perfect occasion for paddlers to connect with nature, through playing in the water, preparing the evening fire, learning about plants and animals and stargazing with s'mores. In addition to these learning objectives, kids will seriously improve their canoe skills!